The pre-war period was a weird time for Grand Prix cars. Engineers had figured out that by cramming more fuel and air into ever more cylinders, you could create vast amounts of power. 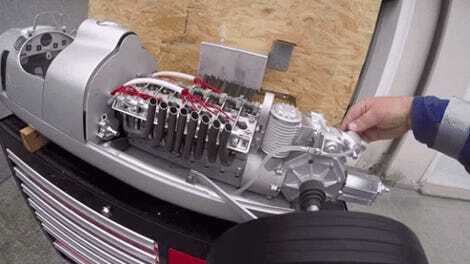 They hadn’t quite figured out the chassis and tires yet, however, which led to Auto Union’s V16 dually beast. 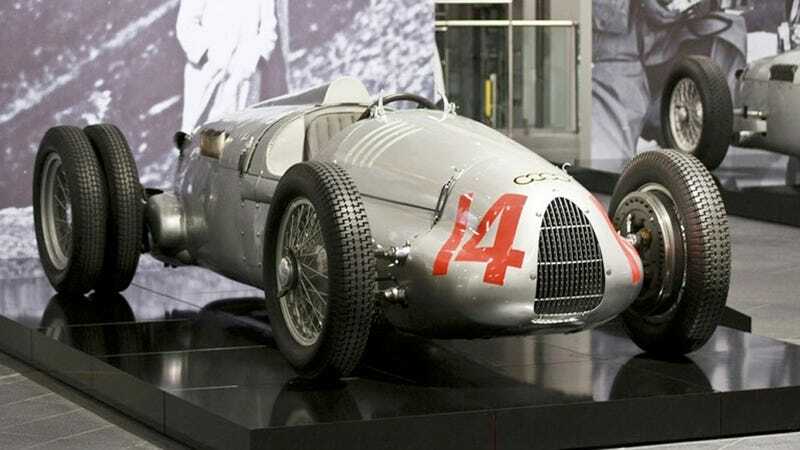 Officially given the catchy and expository name of “Auto Union 16-cylinder hill-climb racing car type C/D,” it did exactly what it said on the tin. With a 6-liter V16 belting out 520 horsepower, Audi’s offiial specs give it a top speed of “approximately” 155 mph. But hillclimb cars aren’t about top speeds, they’re about control and acceleration in low-grip situations. But my favorite part about is the mystery surrounding it. The car somehow survived World War II, but was then taken by the Soviet Union as war reparations. After that the trail goes cold, and the story just turns into a bit of a blank space, with only a few details here and there, until the cars re-surfaced in the 1990s.